I’ll be frank: even using the word “unique” in this feature – let alone in its title – is dangerous territory. In this era of overblown, overhyped, and over-exaggerated positioning by brands and their marketing machines filled with a youthful and often naive “we are the next big thing!” mentality, words like unique are thrown around with impunity pretty much every other day. That said, Vacheron Constantin is not one for hype or unwarranted superlatives, and when they say their Les Cabinotiers department offers truly unique watchmaking, well, let’s just say they aren’t playing around. What the brand hangs their hat on here is that they can (and will) build one-off watches. 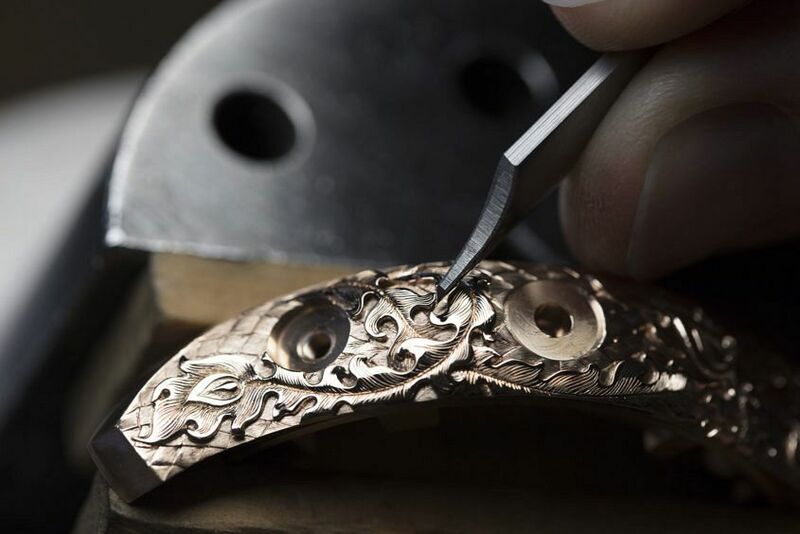 These unique pieces are either created to a client’s specification, or as single watches devised by the department to showcase their immense talents, and give a glimse of what is possible. Sometimes they go so far as to create new calibers and develop new techniques should the commission call for it. That said, the pieces need to remain within the brand’s traditional guidelines to a certain respect. After all, you wouldn’t turn to Vacheron Constantin to build you an oversized, ultra-contemporary sports watch. 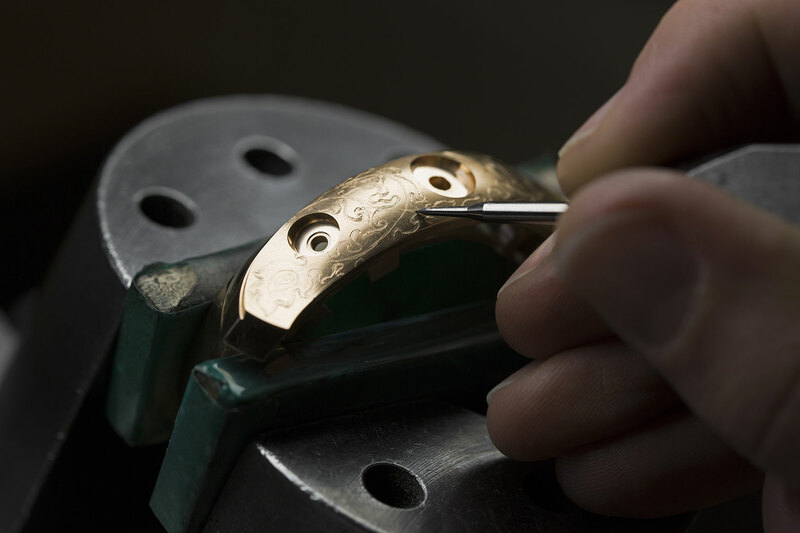 The brand has gone to great lengths to maintain a high level of skill under its roof, especially when it comes to traditional finishing techniques, dial making, engraving, enamelling, guilloche and gem setting. 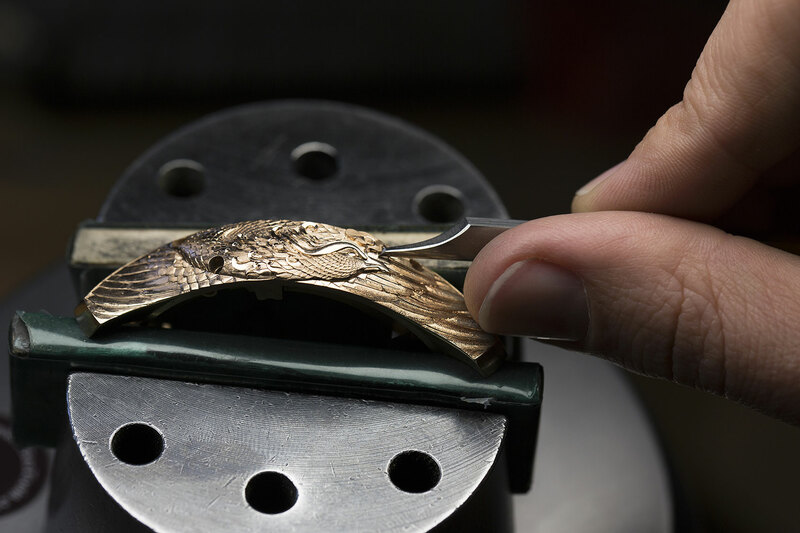 Effectively, the end goal of the department is to let those skilled artisans run wild, no longer constrained by the usual boundaries of production watchmaking. Each year, Vacheron Constantin unveils boundary-pushing examples of what their Les Cabinotiers department is capable of, giving the world a taste of the kind of technical prowess that lurks in what could in some ways be dubbed the brand’s skunkworks division. 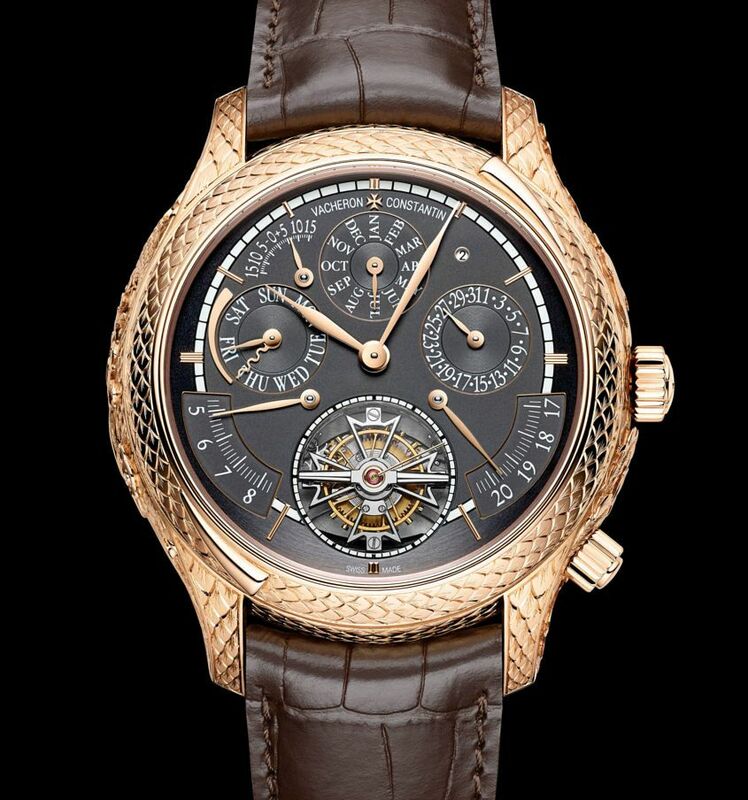 One such example earlier this year came in the form of the Les Cabinotiers Grand Complication Phoenix – a watch that pairs one of the brand’s most complicated calibers with an 18k pink gold case that is covered in incredibly ornate and complex hand-engraving. This artistry-meets-complex engineering approach is one we’ve seen before from the Les Cabinotiers, though this example is especially top-shelf in execution. Unlike other Les Cabinotiers pieces we’ve seen lately (the Mécaniques Sauvages releases, for example) that focus on elaborate dial craftsmanship, the artistic flair of the Phoenix is entirely reserved for its casing. 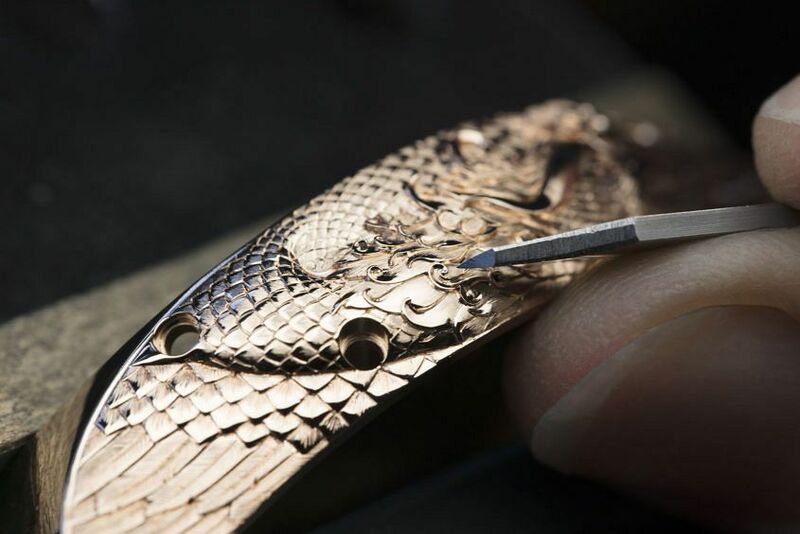 Nearly every last millimetre of pink gold is painstakingly hand-engraved with the feathers and scales of the mighty phoenix in detailed and three-dimensional fashion. All told, only the backs of its lugs and the surrounding space of its caseback beside its brand name and reference have not been engraved. Without a doubt there are some significant man-hours that went into this, but that’s precisely the joy of what Les Cabinotiers can do. Looking to its inner workings, having a one-of-one unique Vacheron Constantin powered by the caliber 2755-QP is a mic drop in and of itself. What you’re looking at here is a watch that’s stacked with 15 complications in total, some more common than others. You’re looking at a perpetual calendar, equation of time, sunrise and sunset, sky chart, seasons, signs of the zodiac, age and phase of the moon, solstices, sidereal hours and minutes, and power reserve, just to kick things off. Oh, and then there’s the matter of its 1-minute tourbillon indicating running seconds, and a minute repeater for good measure. Of course with this sheer volume of information, much is displayed via the display caseback of the Phoenix, but all told the brand’s engineers and designers were able to keep the piece trimmed down to 47mm in diameter and 19.1mm in thickness. No, she’s not small, but stacking complications requires space one way or another. This year’s Phoenix is a fun one, for sure, but it’s really the fact that someone (with somewhat unlimited resources, generally) can walk in the door with a list of “this is what my grail watch should be” and have it created that is something quite special. Maybe you want a minute repeater chronograph with an artsy enamel dial. Maybe you want a world timer combined with a triple calendar. Maybe there’s another list of complications you’ve been dying to see together. That’s the crazy thing about Les Cabinotiers – you aren’t just buying off-the-shelf movements and stuffing them behind a special dial. Case in point, remember the Reference 57260? 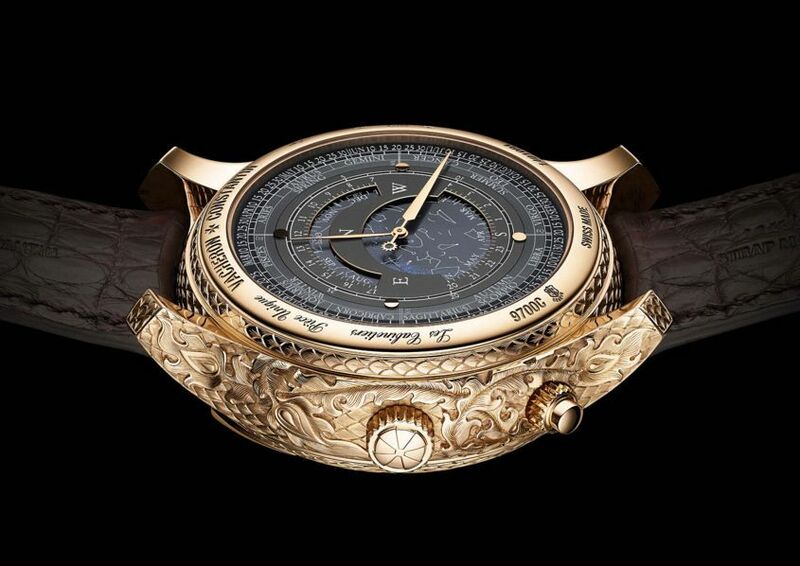 That bespoke pocket watch that Vacheron Constantin made with 57 complications crammed inside? The one that took eight years to make? That was a Les Cabinotiers commission job. Going back to our marketing superlatives from earlier, people like saying money doesn’t buy happiness … But enough of it can buy you the most epic watch on earth, in theory, and to many collectors out there that would make them pretty happy, no?